We have multiple ways you can support our cause! We would not exist without the support, encouragement, and donations of our partners and friends from all over Northern Colorado. Its humbling that we can annually provide programs to children and families free of charge. There are several ways you can join our sponsorship team: by a monetary donation, item donation, or sponsorship of one of our rescued horses. Donations can be one-time, or ongoing, and we provide Donation Receipts for most all donations. Please review the various methods below. Donations are always welcome and will be used to feed and care for our horses, support our youth outreach programs, and improve our property. For every purchase you make through Amazon Smile, Amazon donates a portion of the purchase to the Ranch. For more information on Amazon Smile please visit About Amazon Smile. Sponsor your favorite horse at the ranch! There are various levels of sponsorship available. You can donate monthly to cover the monthly vet and feed costs for a horse or a one time donation of whatever amount you wish to donate. Please see Our Horses page to pick a horse to sponsor. 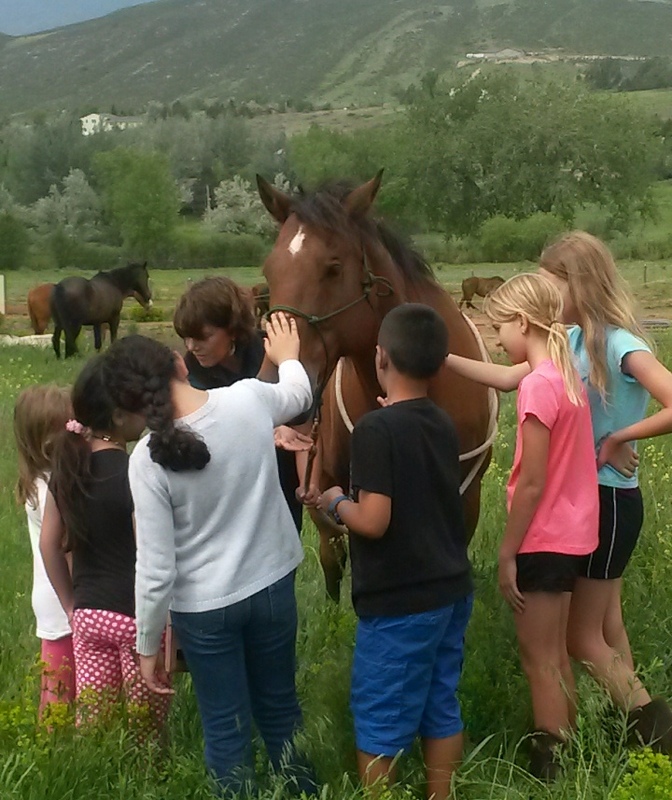 Our Equine Adventure Program runs at a value of $250 per child. We have 30 spots available for summer 2019 and we provide all of these spots free of charge to the families. Our Junior Volunteer Program runs a value of $1080 for the summer. 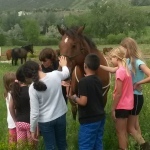 Help us continue to provide opportunities for kids to experience the peace, healing, and wonder of horses.